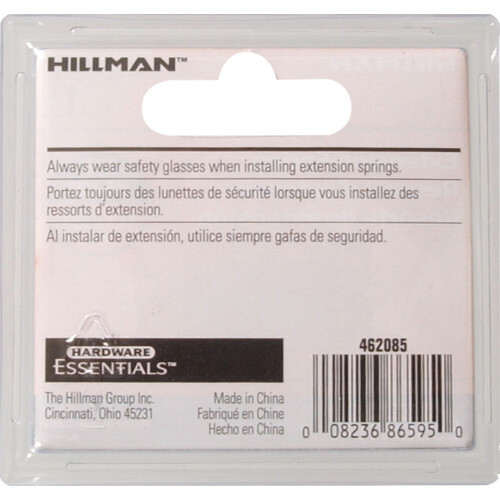 Hillman CTC Extension Springs feature a standard spring design and are used as a conventional extension spring. Made of a steel material and covered with a zinc finish. Can be used in a variety of applications. Packaging comes with instructions. 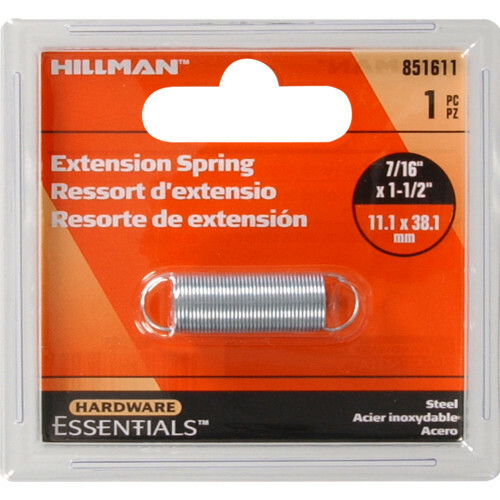 1/2" 1/4" 3/4" 3/8" 3/16" 5/8" 5/16" 7/16" 9/16"
Max Extension Length 68mm; Spring Rate 0.42 lbs. / in.